← More Black Panther sightings in Tennessee; West Nile Virus reports from California, Connecticut, and Nebraska; and Rabies reports from Florida, Maryland, New Jersey (2), New York, and Texas. Canada: Coyote report from British Columbia. Travel Warnings for Republic of the Congo. Mosquitoes in Connecticut test positive for Jamestown Canyon Virus; Experts call Massachusetts Deer overpopulation a growing problem; Michigan State House passes bills to regulate Feral Hog hunting industry; West Nile Virus reports from Connecticut, and Minnesota; and Rabies reports from Colorado, Florida, Georgia, New Jersey (2), New York (2), North Carolina, and Texas. White-tailed deer. Courtesy U.S. Department of Agriculture. Massachusetts 06/29/11 metrowestdailynews.com: by Brad Petrishen – The deer population in MetroWest has exploded over the last decade, and Lyme disease and forest destruction will continue to rise unless attitudes change about hunting and culling herds, state and federal experts told the Conservation Commission last night. “Lately, I’ve been spending way too much time in ecological disaster zones,” U.S. Department of Agriculture botanist Tom Rawinski told a Cordaville Hall audience of about 30. Rawinski said deer overpopulation not only leads to more car accidents and Lyme disease but also upsets local ecology. Deer eat almost anything, he said, wiping out native plants, preventing trees from growing back and making it easier for invasive plants to get a foothold. Rawinski said he thinks the deer population in MetroWest has about doubled since 2001, and that there’s a “good chance” it could double or even quadruple by 2021 unless preventative measures are taken. “You have no idea what you’re in for,” he said, showing images of barren forests wiped out by deer overpopulation in other states. While western Massachusetts has acceptable deer numbers, the eastern part of the state has too many, said Sonja Christensen, deer expert with the state Division of Fisheries and Wildlife. 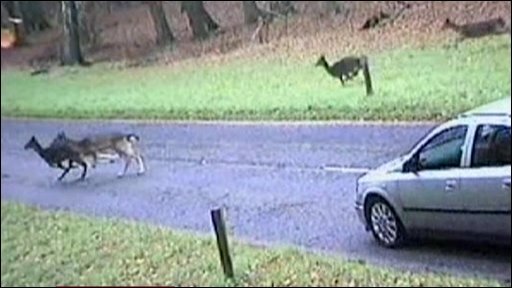 MetroWest, she said, has about 25 to 30 deer per square mile of forest, whereas the recommended number is eight deer per square mile. 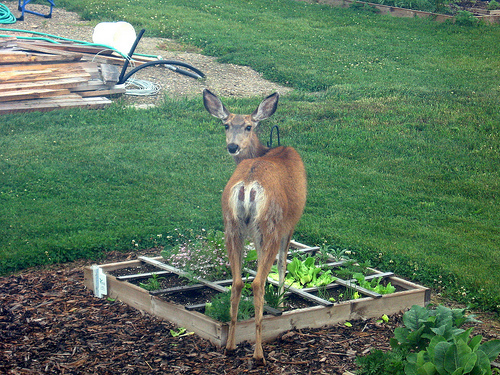 Deer like areas near humans, she said, because they can supplement their diet by eating plants or vegetables from home gardens before retreating to the safety of the woods. 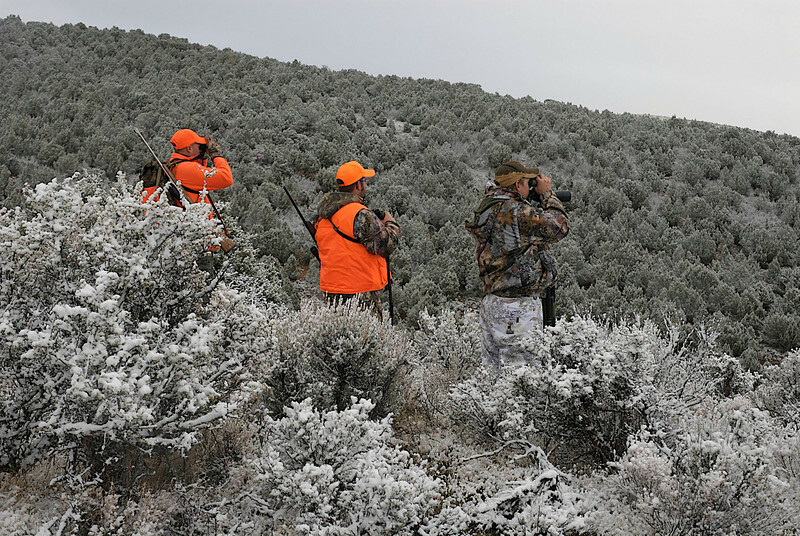 A large part of the problem, the experts said, is that hunting has been so restricted in suburbs by state and local laws that there aren’t enough hunting grounds. “These forests have become horse riding areas or dog walking areas,” Rawinski said. “The hunters have been squeezed out.” As a result, the number of Lyme-disease-causing deer ticks has exploded in the region, said Sam Telford, a Tufts University professor and Lyme disease expert. “If anything, it’s going to get worse,” Telford said. People can do many things to protect themselves against the disease, which can cause chills and fever and, in advanced cases, nerve damage or heart problems, Telford said. Spraying clothes with permethrin will kill ticks within four hours of when they touch the fabric. Also, permethrin can stay on the clothes for up to 16 wash cycles. Other ideas include checking oneself often and clearing brush from the outer edges of one’s home to reduce habitats for the ticks. 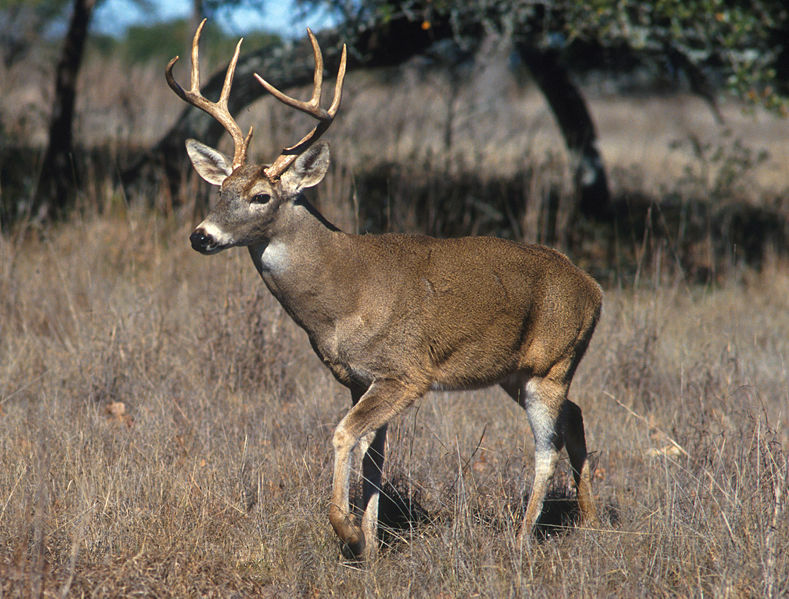 Ultimately, though, all three experts said social stigmas around hunting deer will need to change to get to the root of the problem. Connecticut 07/02/11 cbslocal.com: by Fran Schneidau – The first signs of West Nile Virus have been detected in Connecticut and now officials are telling residents to beware of mosquitoes. The first infected mosquitoes have been found in Bridgeport and state entomologist Dr. Theodore Andriotis says the spring rains and flooding have brought a bumper crop of mosquitoes. Minnesota 07/02/11 shakopeenews.com: The West Nile virus is back. An American crow collected by the Metropolitan Mosquito Control District (MMCD) as part of its annual West Nile virus risk-reduction program has tested positive for the virus this week. The dead bird was collected in Minneapolis. So far this summer, there have been no human cases of the virus reported in Minnesota, and mosquito samples tested by MMCD have also turned up negative. Colorado 07/01/11 kktv.com: For the seventh time this year, a skunk in Pueblo has tested positive for rabies. The rabid skunk was found during the day in the yard of a home on Gale Road, near 25th Lane in Pueblo. It did not come in contact with any humans or pets. Florida 07/01/11 chipleypaper.com: The Holmes County Health Department has issued a Rabies Advisory for two areas in the county. The first is in the southwest part of the county in the vicinity of Oak Grove Road and highway 90, east of Ponce de Leon and the second is in the northeast of the county on Bush road east of the town of Noma. Health officials are urging residents to avoid all contact with high-risk stray and wild animals including raccoons, foxes, skunks and bats. Georgia 07/01/11 patch.com: by Rodney Thrash – Eleven Georgians – seven from Cherokee County, three from Pickens County and one from Houston County – were exposed to an unvaccinated dog that later tested positive for rabies. “The dog had become ill with the rabies virus, exposing everyone who came into contact with it, including five family members and six others who had visited the home,” said Jennifer King, spokeswoman for the North Georgia Health District in Dalton. “It is not known how or where the dog came into contact with rabies.” The dog belonged to a family living near the intersection of Union Hill and East Cherokee roads. It died June 24. Prior to the dog’s death, it bit its two adult owners and a pig. The dog’s body was taken to the Cherokee Emergency Veterinarian Clinic. Its head was removed for rabies testing, then sent to the Georgia State Laboratory on June 27. Two days later, the test came back positive. To treat the rabies, the 11 Georgians must receive one shot of rabies immune globulin and four shots of rabies vaccine over a two-week period, Cherokee County Environmental Health Manager Curtis Barnhart said. The pig that was bitten by the dog will have to be euthanized. For more rabies prevention information, call the Cherokee County Environmental Health Office at 770-479-0444. New Jersey 07/01/11 pressofatlanticcity.com: by Caitlin Dineen – A bat collected by animal-control officials this week in Galloway Township tested positive for rabies. The bat — which was located Tuesday outside a doctor’s office on South New York Road — was tested by the officials with the state Department of Health. County public health officials said the bat was handled by one person who is now undergoing post-exposure rabies treatment. The identity of that person was not released. New Jersey 07/01/11 patch.com: by Adam Hochron – A rabid raccoon was reportedly found in Howell recently according to an email sent out by Township Manager Helene Schlegel. The raccoon was captured in the Oak Glen Development near North Appletree Road and Blueberry Path. After it was captured it was sent to Trenton for testing, where according to the Monmouth County Health Department it tested positive for rabies. 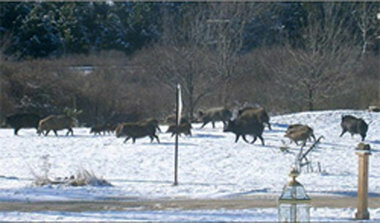 Residents are advised that if they see a wild animal they are not to approach it. If the animal shows what Schlegel described as “unusual or suspicious,” behavior they should call the Howell Township Police Department at 732-938-4575 ext. 2800. New York 07/01/11 wivb.com: by George Richert – The Niagara County Health Department has issued a rabies alert for Tonawanda Island, where woodchucks were on the prowl. As we drove onto Tonawanda Island, it took less than a minute for us to spot woodchucks out grazing. None were acting rabid, but this week, two woodchucks and a skunk were found dead. The Niagara County Health Department is sending them for testing, but expects that they are rabid since people had reported seeing woodchucks and skunks acting strange. Niagara County Health Director Davis Stapleton said, “Some of the signs and symptoms that the public would look for was for animals acting erratically, walking as if they were affected by some substance, that they’re walking, stumbling.” Tonawanda Island in North Tonawanda is mostly industrial, but its shores are lined with marinas that will be hopping this holiday weekend. 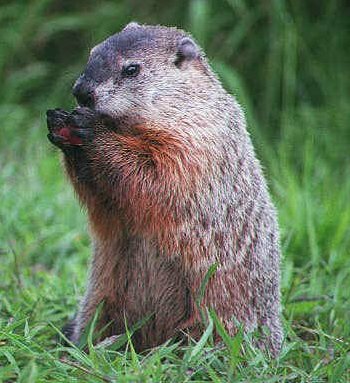 Every year, Niagara and Erie Counties have confirmed cases of rabid bats and occasionally skunks and raccoons, but in woodchucks it’s not as common. 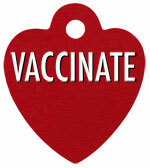 Pet owners are advised to make sure their dogs and cats have up to date vaccinations. The bottom line: if you see an animal acting rabid, get away from it and call police. To find out more about rabies click here. You can find a a schedule of free rabies clinics for your pets here. New York 07/01/11 examiner.com: by Debra Eldredge – The Oneida County Health Department issued notice yesterday that the first positive case of rabies has been identified in the county for 2011. A rabid raccoon in the Clinton area attacked and bit a family dog. The dog did survive the attack and the raccoon was killed and checked for rabies. Unfortunately, the test came back positive. Even more unfortunately, the dog had never been vaccinated for rabies. With no vaccination history, the dog would have faced a six month compete quarantine/isolation literally under padlock. In this case, with the very high likelihood the dog would become rabid the family chose euthanasia. If the dog had been current on his rabies vaccination, he would have been given a booster when he was treated for his wounds and been fine. Luckily there were no human exposures. North Carolina 07/01/11 wspa.com: A fourth case of rabies in Haywood County has been confirmed. Haywood County Public Information Officer David Teague said that the case, the second in less than a week, has prompted officials to schedule two vaccination clinics for next Wednesday and Thursday. Teague said that the latest incident happened Wednesday when a family in the Canton area discovered a skunk, exhibiting unusual behavior, in their barn. According to a report, Teague said that the skunk was off balance and falling down. Officials managed to capture the skunk and it was killed and sent to the North Carolina Department of Health and Human Services laboratory, where it tested positive for rabies. The case is the fourth case this year in Haywood County and all of the cases have occurred in the same general area of the county. “This latest case occurred in the Chestnut Mountain of Canton, which is off Old Asheville Highway, below the Hot Spot convenience store,” said Jean Hazzard, Haywood County Animal Services Director. “The other three cases have been between I-40 exits 31 and 33 in Canton.” Prior to this year, only five cases of rabies have been confirmed in the county since 2006. This year, two raccoons and two skunks were the sources of the disease. Texas 07/02/11 kgnb.am: For the third time this year and for the second time in the last eight days, a rabies case has been confirmed here in Comal County. 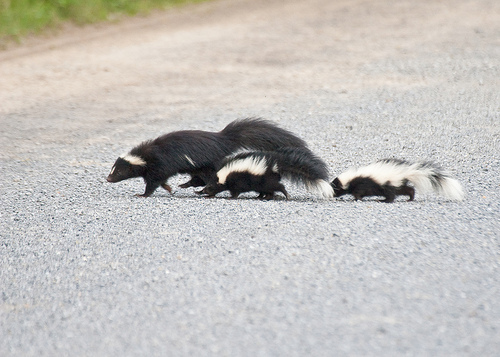 On June 22nd, a skunk was discovered in the driveway of a home in Garden Ridge, and when Garden Ridge Animal Control arrived they captured the animal and had it tested for rabies. The test proved positive, the third such positive rabies case for the county, the other two cases came from bats. This entry was posted in Legislation, Viral disease, Wildlife and tagged American Crow, bat, Cats, Deer, Dogs, Domestic hogs, Feral Hogs, fox, Jamestown Canyon Virus, Lyme disease, Mosquitoes, Rabies, Raccoons, skunk, ticks, Ungulates, West Nile Virus, Woodchucks. Bookmark the permalink. Magnificent points altogether, you simply won a brand new reader. What would you suggest about your submit that you just made some days in the past? Any certain?